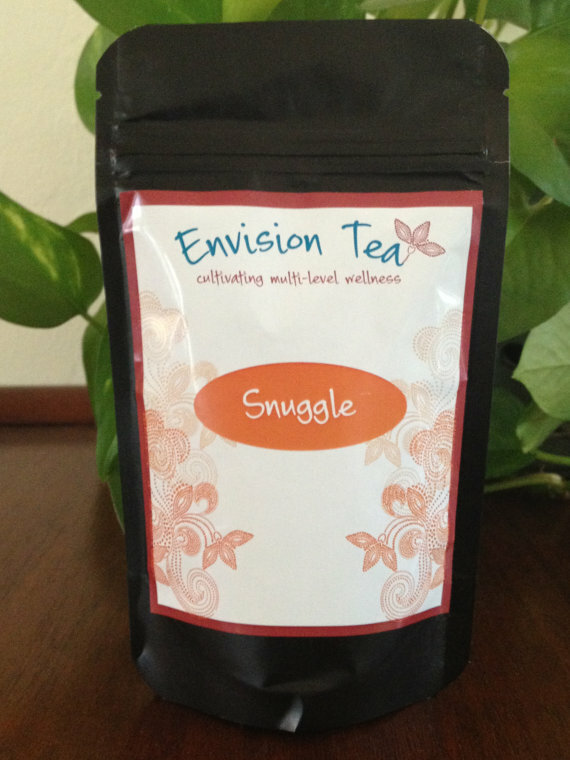 "Intuitively handcrafted loose leaf tea blends designed to help you cultivate wellness and vitality. It's not just about the tea!" Meet Etsy Artisian Kristyn from California. "Kristyn Caetano is a Tea Alchemist and Health Educator. She has been making her own tea blends for more than 20 years, and loves sharing them with others.By the time she started dabbling in the art of tea, she had already been studying many different approaches to wellness, including herbal medicine and whole foods nutrition. Eventually she earned a Master of Public Health degree from Tulane University, a certification in nutritional counseling, life coach training, doula training, and more. Her professional background also includes 15+ years working in various public health organizations." Snuggle is ever so comforting and relaxing. After way too much caffeine in a day I was looking forward to trying her calming tea. It is made with all organic ingredients and include: nettle, licorice, linden flower, wood betony, chamomile, peppermint, lemon balm, stevia,skullcap and passionflower. This combination was amazing! !You can smell hints of the licorice and peppermint and taste the stevia. The flavor lingers on your tongue long after you swallow. Truly a unique tea experience!! This is a perfect before bedtime tea. When I first opened the package my nose went right to the cinnamon scent. In tasting however my tastebuds easily picked out the orange, lemongrass, peppermint and licorice in a combination. Such a beautiful mixture. This tea is very soothing in flavor. I have heard of the wonderful vitamin properties of red raspberry and rose hips and even red clover, and was excited to see all three of these in this tea. The spearmint does have dominance in flavor, with hints of the lemongrass. I found this to be a gentle tea on my upset stomach. 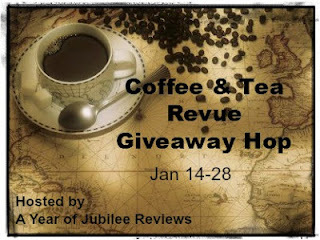 Kristyn is giving my readers this same Trio in the Coffee & Tea Revue! Answer the question in red on this post and claim your extra entry into the giveaway! What tea from Envision Tea would you like to try most and why? It is hard to decide between Nourish and Potentiality teas. I get up in the morning, make a small fresh pot of one or the other. Then I drink and add water and drink again all day long. They never lose their freshness or marvelous flavor, perhaps because they are all organic or made with love or just plain wonderful! I have been drinking them for months and never seem to get tired of them. So happy to have them in my life! I'd like to try the Snuggle! Especially in the winter I like to settle in with a cup of tea and a book before I go to sleep. This looks like a perfect bedtime treat. I would love to try Trilogy set: Nourish, Potentiality, and Snuggle. These have spearmint in them which sounds delicious! The Nourish tea because I love spearmint and also have heard wonderful things about red raspberry. Since I went through all the sponsor's I am starting again. 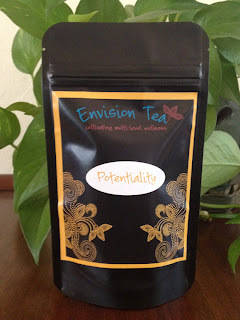 I would like to try the Potentiality tea not first thing but around noon to see how it would affedt me for the rest of the day. Since I am entering the three giveaways each day I have to review the same sponsors every few days. 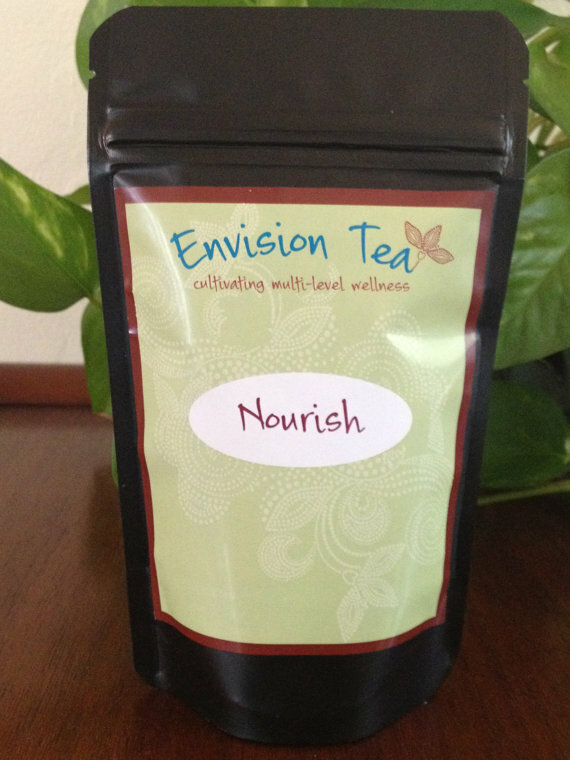 Nourish seems to contain the flavors I most like : spearmint, raspberry and rose hip and good vitamins too.